Terraces is an exciting new collection of planter, seat and table products that form an integrated approach to landscape design. The range offers the flexible tools that, together with informed planting, help define space and movement and inspire the design of high quality environments within a wide range of public and commercial projects. 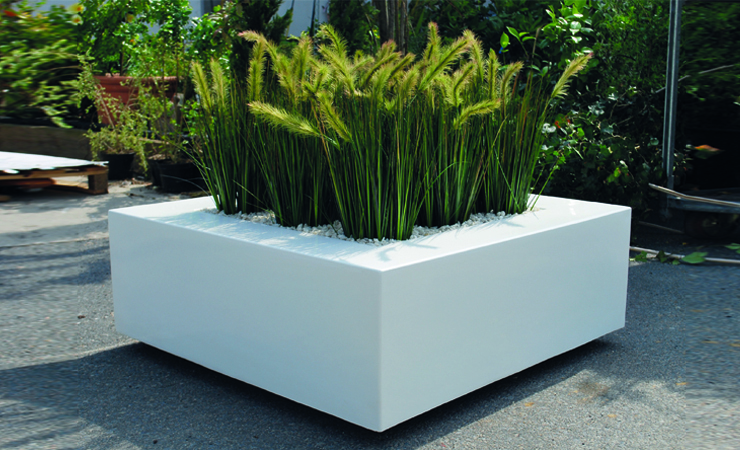 Like the Livingreen Design planter ranges, our Furniture is all manufactured, by us, here in the UK, using Fibreglass as the structural material. This ensures the units are both lightweight, and so ideal for roof garden and terraces, but also immensely strong and therefore suitable for the most demanding exterior & interior spaces. Variations of our Fibreglass formulation is used in the manufacture of everything from wind turbines to commercial jet liners so you can have every confidence in specifying our furniture range in any and every situation. 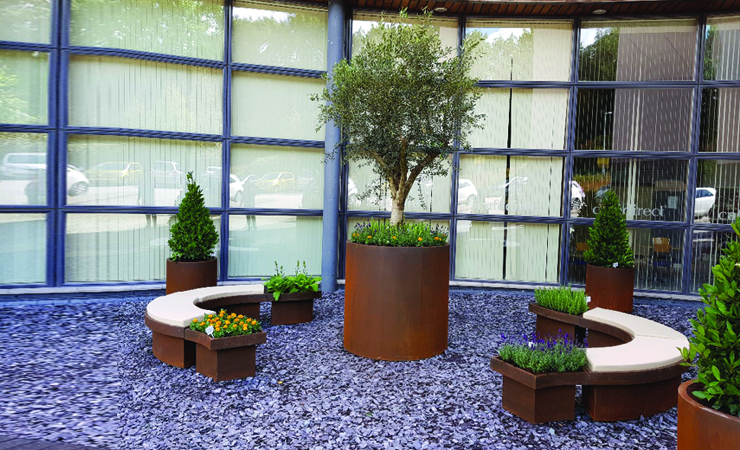 While any of the Terraces components can be used singularly, they are designed to be combined together to provide integrated layouts featuring planters, seats and tables of varying size and height. The name 'Terraces' refers to its unique capacity for creating tiers of planting as shown below, but equally it can be used for simple planting and seating arrangements on the same plane. Terraces base units, made to a high quality finish in GRP, are available in white as standard. A wide range of colours are available to order. Table tops, made from hard wearing compact laminate, are available in white as standard. A wide range of colours are available to order. High quality, easily maintained faux leather is used to cover all seat pads. A wide range of colours are available to order. 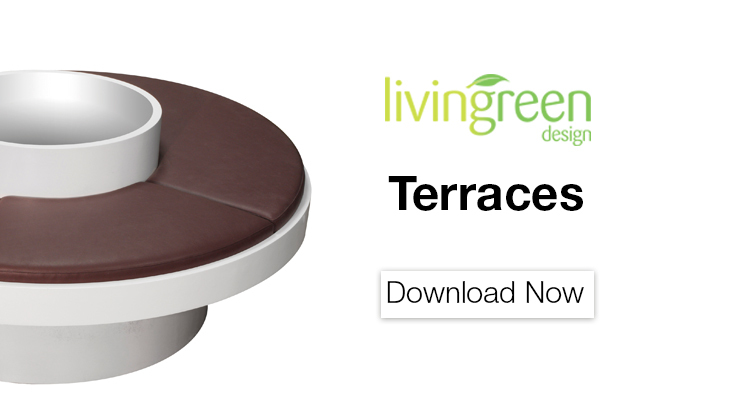 To find out further information about Terraces download this PDF. If you would like to enquire about placing an order then please contact us. And to find out further information about planter furniture.